The Laser Surveillance Defeater is a unique new countermeasure device against laser surveillance. How does laser surveillance work? It's quite sophisticated, but in a nutshell, an invisible laser beam is focused on a window. Voices and sound from within the target area are absorbed by the window and transmitted onto the laser beam (called "modulation"). The receiver (at the other end of the beam) then demodulates, processes, and amplifies the signal. The result-- your private conversations inside your office or home can be secretly listened in on and recorded by a spy a mile away! Since these systems are expensive and sales are restricted in the U.S., they are used primarily by government agencies. The new Laser Surveillance Defeater was developed to meet the security requirements of certain U.S. federal agencies (those who best know the capabilities of a technology are usually the first to realize the importance of protecting themselves from it). This unique countermeasure device was designed to be effective, inexpensive, compact, and portable. It interrupts, masks, and jams the laser demodulation by transmitting human voice frequencies to a window to "drown out" typical conversation. Most laser receivers have a "notch filter" to isolate and enhance human voices; this device was engineered to defeat such filters by centering its frequency output at the middle of the human voice range so that if the notch filter is used, it will also filter out a major portion of the human voice range, making the results useless. The Laser Surveillance Defeater is ideal for government offices, corporate facilities, high-rise buildings, even homes-- any location that has a window which can be seen from a spy's location is at potential risk of laser surveillance. 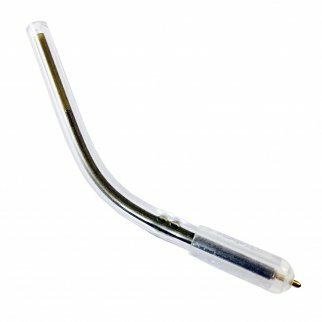 This device is completely portable; it installs and uninstalls on windows instantly with its integral suction component. 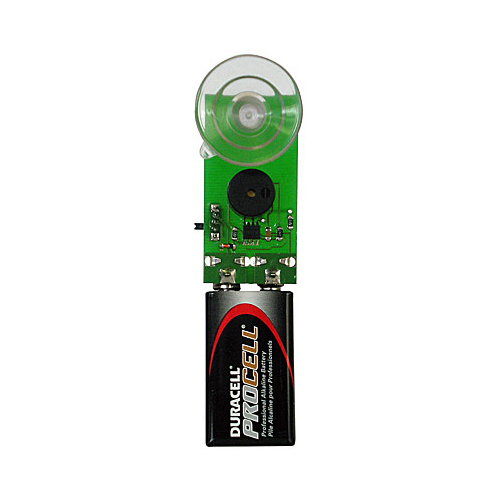 Powered by one 9-volt alkaline battery (included), which provides approximately 500 hours of operation. Equipped with on/off switch and bright blue LED power indicator. Deploy one unit per window. Prison Pen Flexible Non-Lethal Ball Point Pen Multi-Pack (5 Pack) - Blue Ink $ 7.99	• 60% off! 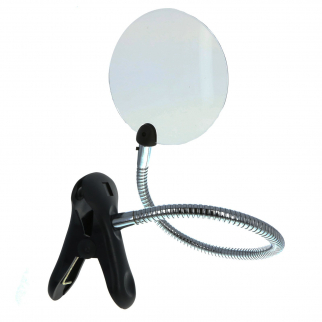 Rimless Clip-on Magnifier with Bendable Neck $ 21.99	• 27% off!